In their survey, DHL Express estimates a cross-border retail volume increase at an annual rate of 25 percent from today until 2020. The findings are based on a series of in-depth interviews conducted by a global consultancy firm and more than 1,800 responses to a survey retailers and manufacturers in six countries took part in. That is twice the pace of domestic e-commerce growth, emphasizes DHL. The study sends a further advice to online retailers: they could boost their sales by 10-15 percent on average simply by jumping over their national fence and offer their products to international markets. DHL rounds up its recommendations by emphasizing that manufacturers and retailers could generate additional business by incorporating faster shipping options into their online offerings. Suppliers that have done this reported a 1.6 increase in sales on average compared with others that did not offer the choice of rapid transportation. In their study, DHL encourages the market players to overcome reluctance and open up new fields of business. Online retailers can take a number of relatively easy steps to identify, cultivate and service demand from abroad, states the Deutsche Post daughter. “The e-commerce trend has given birth to a new eco-system of facilitators and off-the-shelf solutions (such as payment providers and programs that localize a website’s check-out experience for the visitor), helping retailers to adapt their offering to the digital world and to transact with customers in foreign markets,” Allen states. 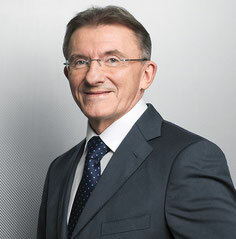 As to their own role they present themselves as partners, providing support in identifying the right trade-off between centralized and local warehousing and fulfillment, while fast, reliable and flexible delivery options can be an important tool in turning speculative interest into long-term customer loyalty, the DHL study advocates.